Listen as Power & Sunshine meet Monika Gamble of ImageWorks, Rod Smith of the Green Polka Dot Box and eFoods Global on the Health Wealth & Everything Else! Global eMedia Talk Show this week! Regular Weekly HWE Talk! features favorite with listeners are also featured this week and include: This Week in World History, 2 Minute or Less recipes, Shoot it to me straight!, Strange Laws, Magnetic Giving, and the eMedia Minute. Thanks to the HWE! Talk show sponsors Heideman, McKay, Heugly and Olsen and Power Strategies the HWE! 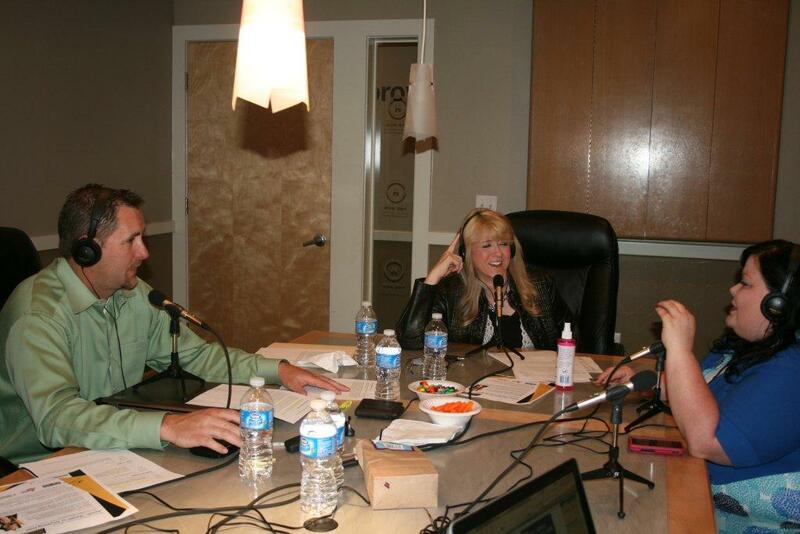 eMedia show airs live every week from a studio is located at 397 N. Main Street in Spanish Fork, Utah, USA. Through the combination of its CoVideo and terrestrial radio platforms HWE! streams and broadcasts daily to over a million syndicated listeners in the United States, Canada, the United Kingdom and Mexico including; Planetary Streams, WcWW, SHOUTcast, and SQR.FM. You can find more information about the HWE! Hosts, sponsors and syndicate stations at www.HWETalk.com. Image Works Academy located in Spanish Fork, Utah; offers a progressive cosmetology curriculum, an advanced nail program, a personal trainer, a life coach, eyelash extensions class, an advanced media makeup class, and a permanent cosmetics program. www.imageworksacademy.com. Heideman, McKay, Heugly and Olsen, L.L.C. is a prominent civil litigation law firm with experience in a broad range of cases involving torts and dispute resolution. Our attorneys are skilled negotiators and work deliberately toward finding the right solution that will help our clients avoid a costly trial. For more information please visit http://www.hmho-law.com. Dr Othmer and his wife Susan became focused on neurofeedback development when their son Brian was afflicted with severe epilepsy. With backgrounds in physics and neurophysiology, the Othmers were able to create a protocol that was engaging to children, presented itself as a computer game. Their research alleviated their son’s seizures and led to continued research into numerous childhood (and adult) problems involving various kinds of brain dysfunction. Since these beginnings 25 years ago, the EEG Institute has developed protocols and accumulated supporting research for using neurofeedback to help individuals with Attention Deficit/Hyperactivity Disorders, Bipolar Disorder, Autistic Spectrum Disorders, Cerebral Palsy, Traumatic Brain Injury, Stroke damage, Learning Disabilities, Epilepsy, Post-Traumatic Stress Disorder, Addiction, Obsessive Compulsive Disorder, Tourette’s Syndrome, Premenstrual Syndrome, Movement Disorders, Depression, Anxiety, Sleep Problems, Dissociative Disorders, Chronic Pain, Chronic Fatigue, Schizophrenia and more. According to the EEG Institute website, http://www.eeginfo.com/research/, neurofeedback is most effective in correcting disorders caused by brain dysregulation. Neurofeedback often creates permanent relief from these type of disorders which include most of the disorders listed above. With disorders that involve organic damage that is degenerative or progressive, such as alzheimers and dementia, the brain is less likely to respond as completely to neurofeedback. However, even with these disorders, progress can often be made. A fascinating outcome of neurofeedback is its impact on IQ scores. An overview of the research to date shows that, no matter what is being treated, in every study where IQ measurements were used, significant gains in IQ scores have been demonstrated. In one case study with a child severely impacted by cerebral palsy, four years of neurofeedback training yielded an extraordinary IQ change of 22 points, with IQ scores rising from a baseline of 48 to a current score of 70. Talk About Breathing Out Sadness and Fear—The Art of Living Foundation’s Solutions to Trauma and Depression on Diana Hoffman’s Healing Talk radio show. Research has demonstrated SKY to be impressive in its impact both on Post Traumatic Stress Disorder, and on all sorts of mood disorders. A recent study compared SKY treatment in 240 survivors of the Asian Tsunami who had developed PTSD. The study found that PTSD levels as measured by the PCL 17 inventory dropped from a highly-distressed average of 67 points, to an average of 27 after just four days (a total of 8 hours) of treatment with SKY techniques. This profound change in distress levels (a change of 40 points) compares to the control group, whose distress dropped only four points in six weeks. The SKY group not only maintained their progress but continued to improve after treatment. At the six month follow-up, test scores had dropped to an average of 20. (17 is the lowest score possible on the PCL-17, and a score below 25 is considered normal for civilians) Notable also is the fact that the therapy was delivered to groups of thirty individuals by a single facilitator—making it incredibly inexpensive and efficient to provide the treatment. 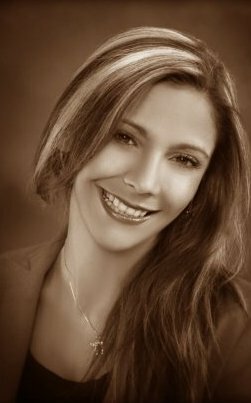 Healing Talk Radio will feature guest Leslye Moore, a member of the board of directors of the Art of Living Foundation. We will also be joined on the show by Archana Thiagarajan, from the Salt Lake chapter of the Art of Living Foundation. Learn more about this remarkable recovery tool, and the huge, volunteer-based international organization that promotes and teaches it in 150 countries around the world. New Fire & Ice Talk Show Coming to KSTAR! Hosted by Tom Egan, Rosy Bucio and Kim Power Stilson, this lively new show about on and offline dating do’s and dont’s is coming soon to radio stations near you! If you fresh on the dating scene, ready to learn more after years off the scene or just want a good laugh about relationships, tune into this show hosted by veteran match making gurus and live action singles! Talk About “Competing ‘In the Zone’: Performance Enhancement Hypnosis” on “Healing Talk” radio show. The advantages of performance hypnosis are so significant that at today’s level of competition, most world-class athletes in a great variety of sports must learn to take themselves “into the Zone” in order to order to be competitive. Using self-hypnosis by entering the Zone is not a new skill. Many individuals who have studied martial arts have learned this high level of focus and mental discipline. This skill is in fact thousands of years old. This underscores the fact that Performance Enhancement Hypnosis is a skill that is learned, not a procedure that is done. Alert hypnosis training involves activating specific areas of a brain, including several parts of the cingulate gyrus. This center of “higher focus” is then utilized to direct and enhance brain functions in the deeper brain–the limbic system, midbrain and brain stem. 2. Eliminating fear blocks and fear symptoms, particularly fear of failure. 4. Focusing on the level of relaxation/readiness that allows reflex-trained skills to take over, so that the body does what it has been trained to do, what it knows how to do, without interference or override from a nervous consciousness. 5. Visualizing over and over the details of a successful performance or competition. 7. Using hypnosis to assimilate the skills of a masterful role model. These skills have proven to be invaluable to a great variety of competitors and performers, from golfers to bullriders, singers to drag racers. Talk About “Identifying Warning Signs for Violence in Romantic Partners” on “Healing Talk” radio show. This week’s Talk Radio Topic is “Identifying Warning Signs for Violence in Romantic Partners” on Planetary Streams Talk Radio. 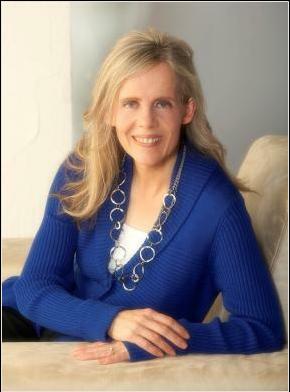 Salem, UT – January 26, 2011 – Planetary Streams Talk Radio Network today announced that Diana Hoffman, Licensed Professional Counselor, Trauma Recovery Specialist, and host of “Healing Talk” radio show, will be discussing “Identifying Warning Signs for Violence in Romantic Partners” on “Healing Talk” radio show. Healing Talk broadcasts locally every Wednesday on Utah’s KSTAR 1400 AM and globally throughout the following week, starting on Saturday at 11 a.m. Mountain Time on Planetary Streams Talk Radio Network, and Web Campus World Wide Talk Radio. According to Diana Hoffman, Licensed Professional Counselor, Trauma Recovery Specialist, and owner of Salem Counseling Center, domestic violence is extremely widespread. In telephone surveys, 30 percent of women indicate they have been physically assaulted by a romantic partner. Similar surveys estimate that around 8 percent of women in the U.S. are currently in a violent relationship. Unfortunately, many women remain remarkably unaware of classic warning signs and personality traits that are related to abusive behavior. Large research and treatment projects, such as the Duluth Project on Domestic Violence, have created characteristics profiles of violence perpetrators. Although violent partners can come from any culture, income level and race, violence perpetrators most often have specific personality traits in common. A high percentage of perpetrators of violence have personality disorders, typically narcissistic or antisocial personality disorders. They are often jealous, manipulative, lacking in empathy, and act superior or entitled. Characteristics of these disorders can be identified by someone who has been taught what to look for. Some abusive individuals, particularly narcissistic personalities can be adept at looking polished in public, and their characteristics may not come to the surface until the dating relationship has been ongoing for a while. However, it is not uncommon for more subtle manipulative, self-serving and controlling behavior to occur early in the relationship. Addiction is obviously a huge risk, as addiction typically leads to selfishness, narcissism, manipulation and lying. Addiction creates the same personality characteristics that are most associated with abuse. Dissociated anger patterns can be particularly difficult to identify, as a man with this pattern can present himself as caring, affectionate and fun until something triggers his anger. Individuals with this pattern are sometimes able to completely repress their anger until after they have married their partner. Even when the anger is demonstrated, individuals with abusive anger patterns are often adept at projecting blame onto the partner, and convincing the partner that it is “her fault” that he got angry. Some other common warning signs, such as jealousy, threatening other potential competitors, and “macho” posturing are overlooked by many women who mistakenly believe these are evidences that the man will protect them and keep them safe. Nothing could be further from the truth. Three out of four women who report being physically or sexually assaulted after age 18 report they were assaulted by a domestic partner, not by a strangers or “mugger”. Many abusive relationships could be avoided if more women were aware of obvious signs and attitudes that lead to domestic violence. Healing Talk radio show. This week’s Talk Radio Topic is “What Your Pediatrician Doesn’t Know Can Hurt Your Child” by Susan Markel, MD” on Planetary Streams Talk Radio. Salem, UT – January 19, 2011 – Planetary Streams Talk Radio Network today announced that Diana Hoffman, Clinical Hypnotherapist, Trauma Recovery Specialist, and host of “Healing Talk” radio show, will be interviewing Pediatrician Susan Markel about her new book, What Your Pediatrician Doesn’t Know Can Hurt Your Child” Healing Talk broadcasts locally every Wednesday on Utah’s KSTAR 1400 AM and globally throughout the following week, starting on Saturday at 11 a.m. Mountain Time on Planetary Streams Talk Radio Network, and Web Campus World Wide Talk Radio. According to is Dr. Markel, board-certified pediatrician and private consultant in parent coaching and child health, the modern birth experience is probably the best example of how we’ve allowed the mystique of technology to subjugate women’s intuition and inborn abilities. Dr. Markel’s book gives guidelines in several other areas that affect the development of deep trust and effective bonding between mother and child. Some of the book chapters include: Breastfeeding; Nutrition; Keeping Baby Close=Carrying and Shared Sleep; Natural Healing; Communication –Learning to Talk & Learning to Listen; and Discipline—Treat Me Like I’m Someone You Love.” Dr. Markel offers practical strategies strategies to increase nurturing and family closeness, enhance positive identity in children, and maintain effective structure and boundaries without damaging relationships.